Vijayawada, March 26 (IANS) TDP MP Kesineni Nani and MLA Bonda Uma on Sunday apologised to Andhra Pradesh State Transport Commissioner N. Bala Subramanyam for allegedly misbehaving with him. This followed a threat by Transport Department employees to go on pen-down strike from Monday and the subsequent intervention by Chief Minister N. Chandrababu Naidu. Telugu Desam Party (TDP) MP Nani and and legislator Bonda Uma assured the Subramanyam that such incident will not recur. Earlier, they met Naidu and gave their version of the incident that took place at the commissioner’s office Saturday. 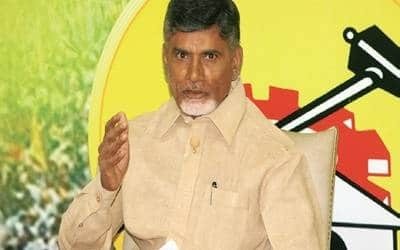 Naidu, also the TDP chief, said leaders of ruling party should be more cautious and should not give scope for any controversy. Transport officials Sunday held a media conference to demand that the Vijayawada MP and MLA tender an unconditional apology. An official said Nani, who owns a bus transport company, tried to pressurise the Commissioner to change a road accident report and when he refused to oblige, he along with his supporters staged a protest. Nani and others entered into a verbal duel and obstructed the way of the Commissioner for about two hours. The MP alleged that due to the "corrupt" practices of transport officials, around 400 private buses were operating across the state without permits. He sought immediate seizure of private buses operating without permits. "Around 150 buses which belong to Orange Travels are operating in Vijayawada and around 400 buses are operating across the state. Owner of Orange travels, Sunil Reddy, is a ‘benami’ (proxy) of YSR Congress chief Y.S. Jaganmohan Reddy. He is influencing transport department officials by offering bribes," Nani alleged. Subramanyam denied the allegations and said every bus was paying taxes to the Transport Department and operating with permit.